BUTLINCAT's BLOG: WIKILEAKS UPDATES 13 Nov. 2018 - Wikileaks hasn't tweeted in 3 days? [VIDEO], Killing the Messenger, Crucifying Julian Assange, Corsi "expects to be charged"
WIKILEAKS UPDATES 13 Nov. 2018 - Wikileaks hasn't tweeted in 3 days? [VIDEO], Killing the Messenger, Crucifying Julian Assange, Corsi "expects to be charged"
While Pompeo has had a testy relationship with the media for years, he's been especially obsessed with WikiLeaks and its founder Julian Assange. upload · personSIGN IN · ABOUT · CONTACT · BLOG · PROJECTS · HELP · DONATE · JOBS · VOLUNTEER · PEOPLE. wikileaks dnc emails. MORE. How could ScoMo possibly think this was okay? 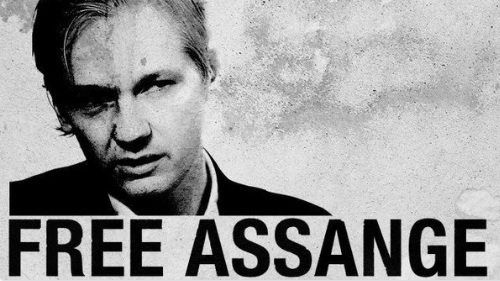 ... Assange, after actor Pamela Anderson called on the Australian government to bring the Wikileaks founder home, ScoMo had a good long chuckle.